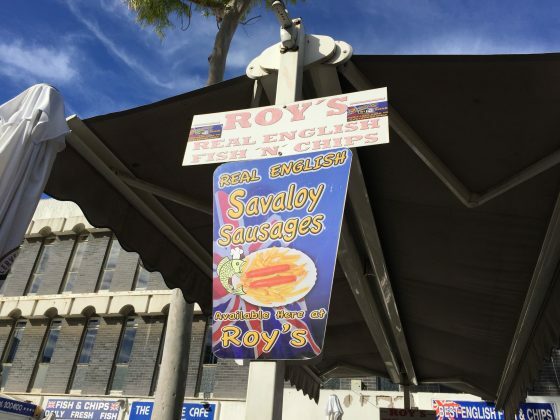 Roy’s fish and chips, although probably the best on the rock. This place isn’t worth writing home about, as you will see why below. 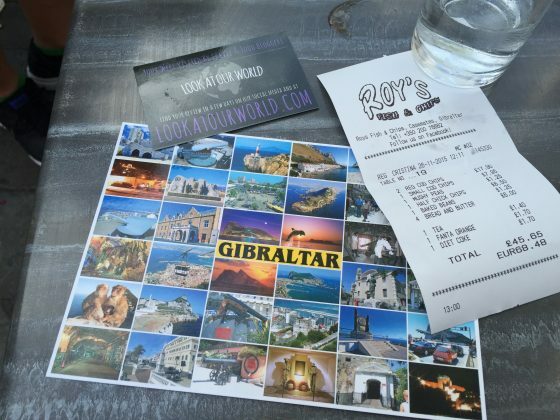 Upon visiting Gibraltar, which is connected to the outskirts of southern Spain we visited a rather English establishment called Roy’s Real English Fish and Chips in the Grand Casemates Square. Now, as you walk into the square, there is a fantastic amount of choice available, with each of the establishments propping for business. It’s a wonder how we even made it to Roy’s in the first place, but with a recommendation in our heads, we took a shaded seat outside and basked in the cool breeze as we read the menu. Remember… I am for the lack of a better word a greedy gannet, and I’m afraid, I always will be. 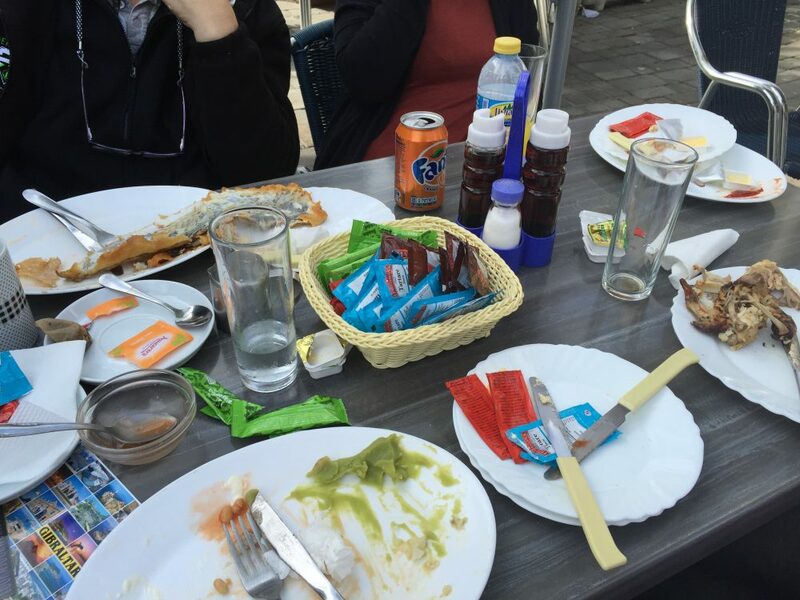 It didn’t take long for the rather large portions of food to be placed in front of us, my god they were huge, but they certainly didn’t lack in flavour. My chicken was falling off the bone, it was moist and tasted lovely. Of course, I made a Chip butty sandwich with the chips on my plate as they were exactly like the ones from home back in England. 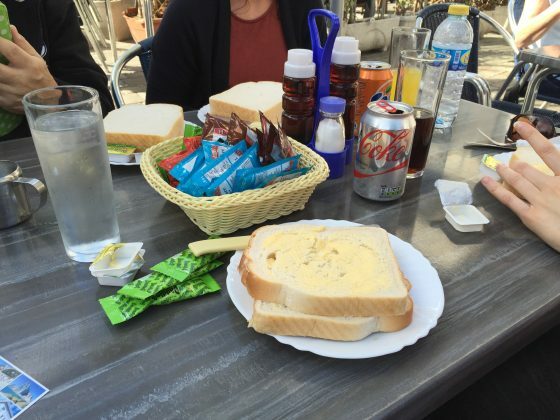 My only gripe was the butter was rock solid, and I somewhat destroyed the sliced bread with it, but we’ve all been there right. The others were very impressed with their fish also and said the batter was delicious and the fish was seamed to protection. As Gibraltar is British owned, all prices are in English sterling. 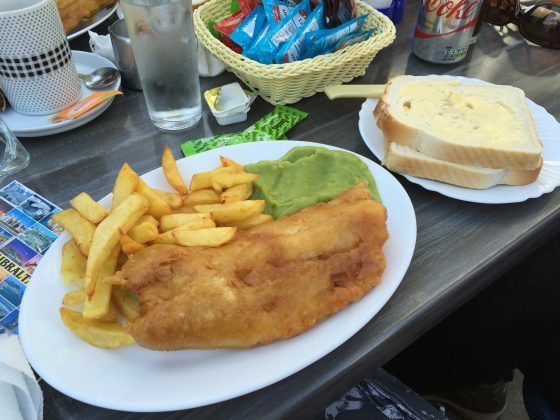 The cost was similar to back home (which is not like Spain in the slightest) For a regular fish and chips it was £8 and bear in mind the portion that was served to us, this was rather good value for money, but they did say that maybe next time a small would do well enough. 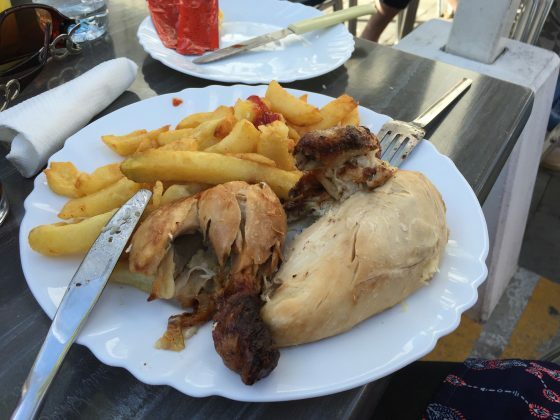 My chicken and chips were cheaper at £6.50, this I thought was excellent value for money and one I would quite happily pay again. To be honest it was a little quiet when we sat down to eat, but of course, it is winter here, so huge crowds weren’t expected. I wasn’t complaining though as it was a very chilled out spot. We were greeted by our lovely waiter from Bristol (back in the UK) who knew his way around the menu and gave us some good recommendations.